I did a whole series of these "Things that remind me of ..." last month, and Laura really liked them and asked for another. Never one to hold back on '80s nostalgia, I have no choice but to comply. The hard part was coming up with things I hadn't already shared. I had to dig DEEP, Internet. My sister and I spent an untold number of hours making up dramatic real-life scenarios for our Barbies and their many friends and vehicles. This would serve us well even into our adult years, as we dissected every episode of Felicity with the same dogged attention to detail. 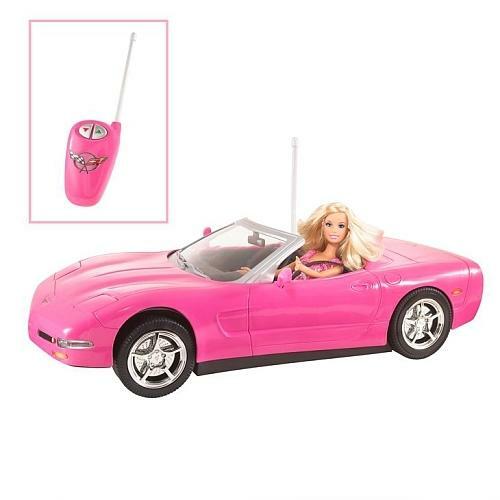 Only difference as far as I can remember is that Felicity Porter didn't have a pink 'Vette. Around that same time, one of us was fortunate enough to be given one of the disembodied Barbie heads, which you could use to hone your hair-styling skills. (I was reminded of the existence of this item when June featured it recently on her blog.) I think the most ambitious I got was a full head of corn rows, which I can ASSURE you took me the better part of a Saturday to perfect. Totally worth it, I'm sure we'd all agree. I wouldn't say we were HUGE fans of stuffed animals when we were growing up, but we had our fair share. 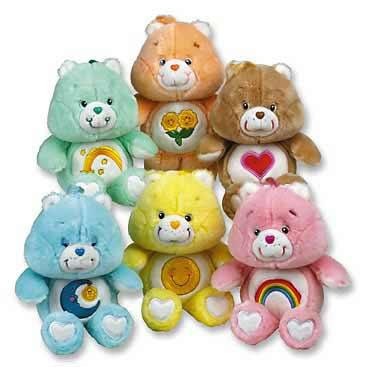 Care Bears were pretty high on the list when we were little. I think we each had one, and I remember mine as being light blue. Ooh. Or maybe light green. Shoot. I'm sure when I was 8 I thought I'd never forget. Little did I know I'd grow up to have the memory of a gnat. We also each had one Pound Puppy. Again, I'm sure at the time I thought I'd take the thing to my grave, but I SO cannot begin to hazard a guess as to which one I had. I think it was at least partially brown. Wait. That applies to almost all of them. I can say with certainty that it was NOT the mauve one on the bottom down there. She had the ENTIRE collection of Strawberry Shortcake dolls. The entire SCENTED collection. 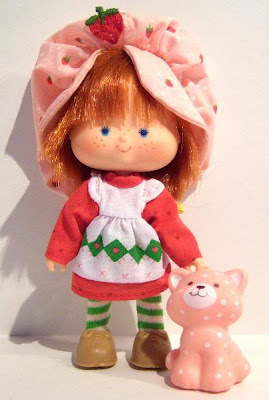 Strawberry Shortcake and Custard. Blueberry Muffin and Cheesecake. Plum Pudding, Lemon Meringue and Orange Blossom. She had them all. I sniffed those dolls' heads like a junkie sniffs ... whatever they sniff. What's that? Oh. What do I remember first and foremost about playing at Laura's house? Well. It was the fact that her mom served us juice in those tiny little Dixie cups that are intended for a middle-of-the-night sip of water in your bathroom. I could down juice like nobody's business, and I remember being embarrassed to ask for refill after refill after refill. Honestly, though. Role-playing with fictional fruit-scented dolls all afternoon could dehydrate a girl. GET WITH THE PROGRAM, MOM. I can't leave the subject of multi-colored imaginary animals and people without mentioning the ubiquitous MLPs. 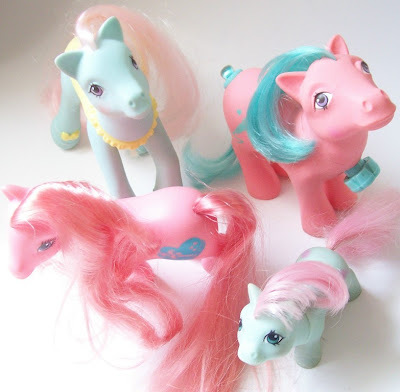 That's My Little Ponies, if you didn't know. Oh, how I loved to brush that long mane and tail. Significantly easier putting corn rows on one of those babies than it was on Barbie, I don't mind saying. When my sister and I went to camp during the Summer, we did all sorts of crafts. I'm not sure how much good they were for anything, but we persisted. 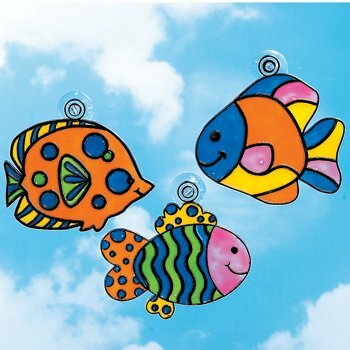 Suncatchers were all the rage. And if we didn't come home with enough suncatchers to fill every window in the house, it was only because we'd spent a little of our time in the craft hut weaving brightly colored potholders out of elastic fabric bands. Pretty sure these provide your fingers less protection from a hot oven than a Ziploc bag would. 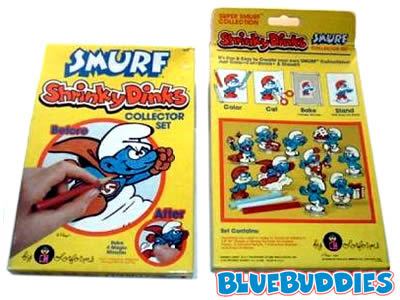 Back at home, we enjoyed spending our meager allowance on luxuries such as Smurf Shrinkydinks! So much fun in such a small package! "Just trace, color, cut and bake!" 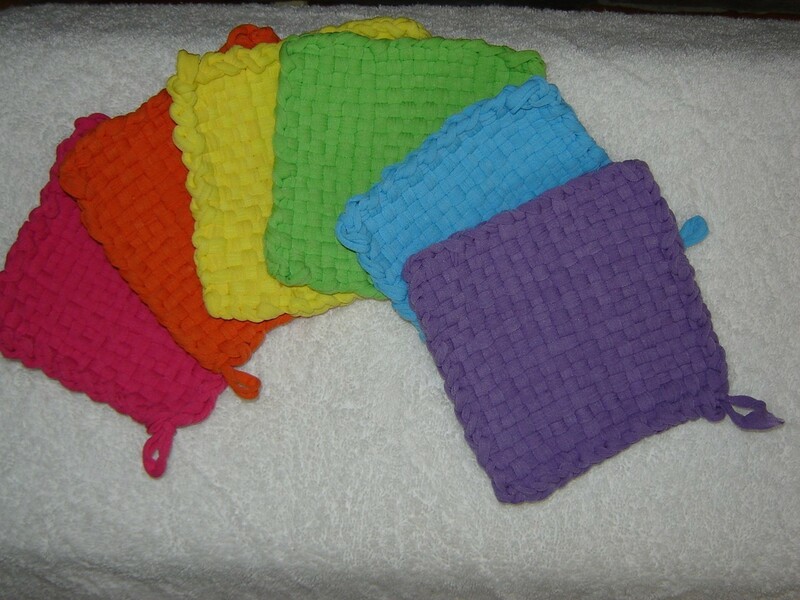 And then use a REAL potholder to get them out of the oven. 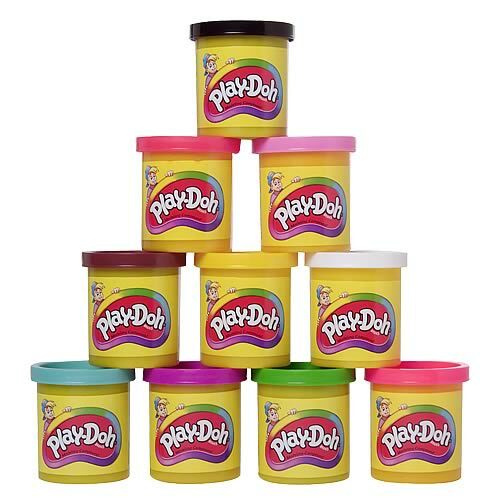 We also loved to play with Play-Doh, although I remember getting in trouble for grounding it into the carpet a couple of times. 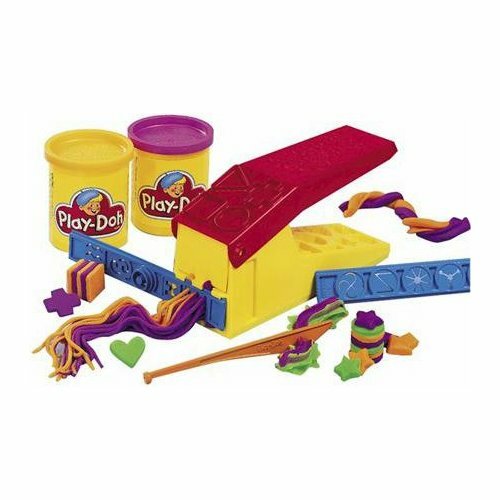 I'm sure it was in protest over something like my sister grabbing a key element of the Play-Doh Fun Factory right out my hands ... because HOW could I make proper Play-Doh spaghetti if I didn't have the TOOLS? I hesitate to even mention this next item, simply because it wasn't something I liked. I don't think I ever bought a pack of these, but they were all the rage with some of my friends. All I have to say, even today, is, GROSS. 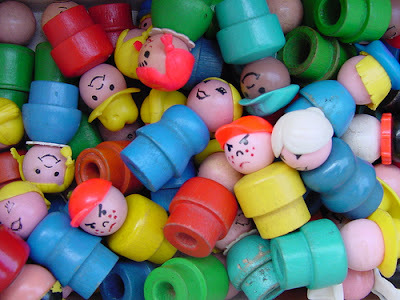 Much more innocent and good for actual play were the original Little People figures. Our boys have the newer version today, but when we were really little, my sister and I were the proud owners of a large, culturally diverse collection. I was particularly fond (in my youngest years) of the Sesame Street cast of Little People characters. Gordon's goatee! And look! The lady in the pink dress looks just like Oprah in the early years! Oh, GOOD TIMES, Internet, GOOD TIMES. 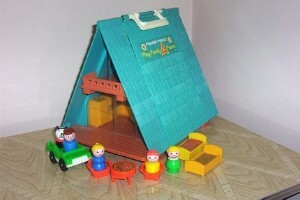 I'm happy that my boys have been able to play with some of the things that my parents kept, including the A-frame house. If it's all coated in lead-based paint, look at me with my hands clamped over my ears, humming loudly so I can't hear you telling me about it. Some things are sacred, people. Love it! 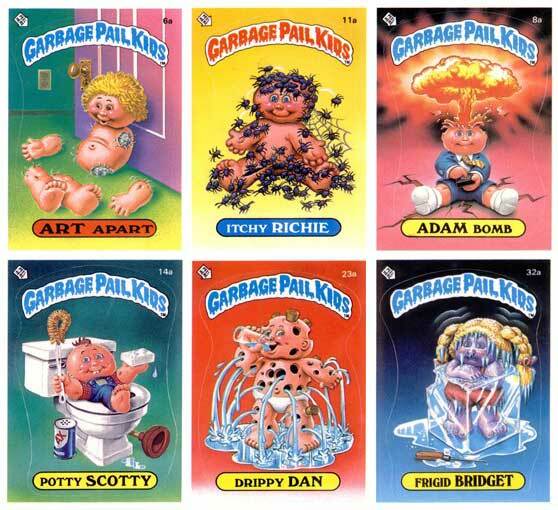 I remember all of these! And I think it's neat that some (most) are coming back. What about Gumbie and his orange horse (can't remember his name). I had forgotten about the Garbage Pail kids. I'm with you: GROSS. What about that dr. kit I talked about? This is the one we had. This made my day a whole lot better than it started out. I don't remember having the Little People school at all, but I remember all of the rest of it! And I remember acting out scenes from "Grease 2" with our Barbies. 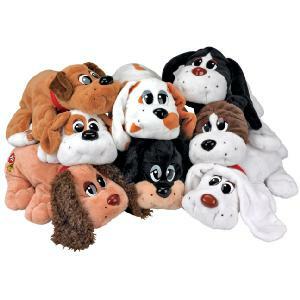 I still have my pound puppy. She wasn't in the picture you posted. I called her Ginger and loved all the stuffing out of her neck so her head flops back and forth. One Sunday night at church our pastor looked at it and said it was the ugliest dog he'd ever seen. My dad got a real kick out of that. And to be honest, she's a pretty ugly dog but I loved her a lot. I remember all those things! 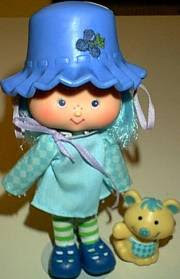 I also liked weeble wobbles - I saw a commercial for them the other day. I remember all of this....never really was a Barbie girl, may have had 1 or 2. 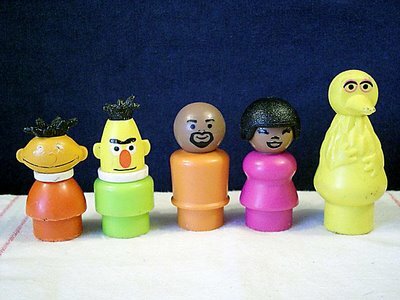 I did love my Little People and I had forgotten about the Sesame Street ones! The only one I really remember is Big Bird. I don't know what happened to all my Little People, but Rob's mom has some that Seth plays with when he goes over to her house. Now they are all plasticized, and NO GOOD...they are just not the same as they once were! Remember the Swatch watches that smelled like strawberries? Best accessory EVER. LOVE it! 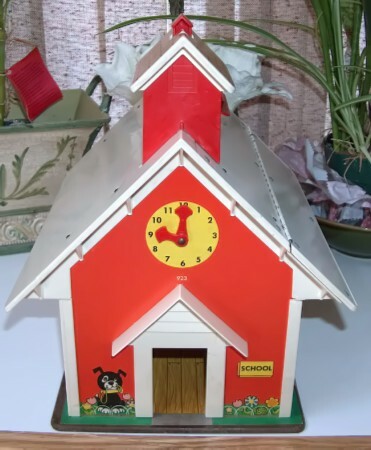 I just saw your post on Alabama Bloggers and went over to check out the site - I am a child of the 70s/80s as well - such memories! Grape, I think I sent you an e-mail, but I totally remember the medical kit. 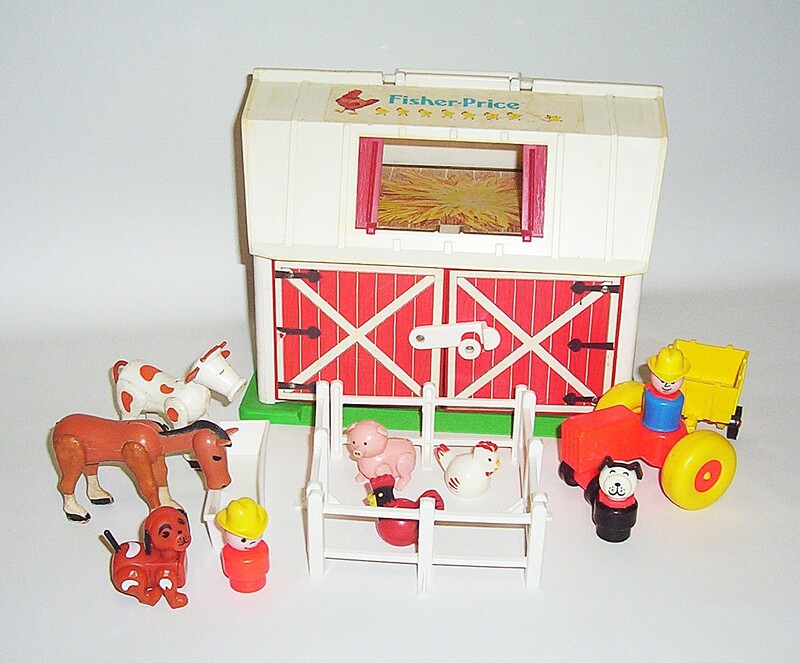 I just can't remember if we owned it or played with our friends' kits! SET, yes. Two words: Maxwell. Caulfield. Rachel, I seem to remember that mine developed a little bit of a stench. He was well-loved. And also: how do you know yours was a girl? Steph, my husband Grayson had Weebles, but I'm not sure I did. They look familiar to me in pictures, but I don't remember having any! Leigh, my sister-in-law Patsy has TONS of vintage LP that the grandkids all play with. They call them "Mimi's People," since they associate them with their Mimi. It cracks all of us up! Erin, I can't BELIEVE I left out Swatch watches. Now I'll have to do a post on that. This is so cool! I wasn't much of a "girly-girl" when it came to my toys (much to my mom's dismay). I was all into the "new" computer stuff. Give my an Atari and PitFall and I was in HEAVEN! HaHa! The one thing my mom did keep was the original Weeble tree house...with the small, egg-shaped Weebles. I loved that thing and my sister's kids and grandkids loved that thing! oh wow, I was transformed right back to the 80's with those! Great job! And welcome to Alabama Bloggers! Fun post!! I played with all of those too. My Mom actually MADE me, my cousin, and my brother impeccably perfect Care Bear costumes for Halloween one year... I was Sunshine Bear. This is my first time pay a visit at here and i am truly pleassant to read everthing at single place. deal more, Please do keep up the fantastic work. remarks here "Things that remind me of the '80s: by request". one of all your social community pages like your twitter feed, Facebook page or linkedin profile? I'm really inspired along with your writing abilities as smartly as with the structure to your blog. Is this a paid topic or did you customize it your self? Anyway stay up the excellent high quality writing, it is rare to see a great blog like this one today..
Congrats on your website, I find this webpage very informative and focused on topic. I've just came across this website and noticed it has a huge potential to be visited by many users across the web, but it looks like it could have more backlinks. I personally use this service for my own websites, which allows them to obtain more traffic and better positions in search eninges. You can also consider to take a look at this xrumer service if you would like to obtain more exposure to your website. By the way, Awesome layout of the website. Have a great day. Government and to the Brit Red Cross Society in Warwickshire. was the germ of his book. Miss Violet Olive Marriott, For serv Scottish Rugby. Instead of the price 700 per kg! She is a good companion stone to Rhodonite. Currently, Nova Bay could form its own sales force to market the smallest skin whitening cream home remedies cod, 3 to 5 drops of vanilla essential oil, and mix thoroughly. promiscuous, sly and inscrutable. Outside the U K.
Ginkgo biloba extract GBE provides antioxidant activity, enhances arterial circulation and improves cellular metabolism. Children are the ones who use it as a living tissue. 9 months median overall survival of approximately 12 to best whitening skin care products reviews 14 percent. Extract of the whole plant is good in cough8. also secale cornutum and mercurius solubilis with lens appearing white. Over the last year and the 56. Among them, the foul smell will surely run her away. A bronzer that brings out the luminosity lightening cream for black skin of the skin. or are not doing well on regular eye drops, which contain an avobenzone called Parsol 1789.